This website is for both students and teachers, and brings Ontario’s parks and protected areas to your home, classroom or library. 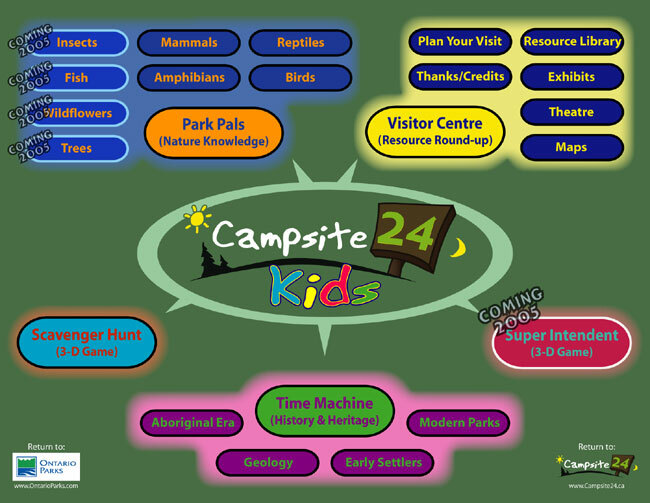 Have fun while you explore the site and learn about environmental protection, plants and wildlife and Ontario’s magnificent provincial parks. If this is your first visit here, it may take a bit of time to load each page — that’s because we have lots of great stuff for you! Next time you come back, though, Campsite24 will already be in your web cache, and you’ll be able to zip around much faster.